Live From Orlando It's Cisco Live! Live From Orlando It's Cisco Live! Live From Orlando It’s Cisco Live! Our very own Chief Networking Architect, Jason Bomar, has been given the opportunity to present at this year’s Cisco Live conference. Very few partners are asked to lead Cisco Live’s sessions – we hope to see you there! Cisco Live is Cisco’s annual customer and partner conference where attendees can “build the foundation for their digital future”. This year’s conference will be held in Orlando, FL, from June 10 – 14. Attendees are giving the opportunity to “transform their outlook, their career, and their potential” through learning directly from Cisco’s best and brightest. From technical education to future-focused thought leadership, 1:1 meetings with Cisco experts to connecting with Cisco partners, networking with your peers to having fun at the Customer Appreciation Event, Cisco Live Orlando is the place to have it all. This year’s conference will feature a number of keynote speakers including Chuck Robbins, Chairman and Chief Executive Officer, Cisco; David Goeckeler, Executive Vice President, and General Manager, Networking and Security Business, Cisco; and Amy Webb, Futurist, author, and founder of the Future Today Institute. With more than 30,000 attendees every year, Cisco Live is Cisco’s largest conference by far and one of the most notable in the tech industry. While the LA Networks team is looking forward to attending as they have for many of the past conferences, this year is a special occasion. This year, our very own Jason Bomar is excited to be presenting at Cisco Live, a rare honor for partners. 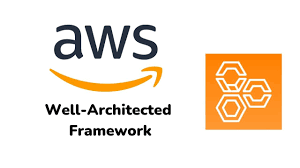 Jason will be speaking on “Automated VPC Connection Using a Transitive Hub in AWS” (session #CCSCLD-2003). Jason’s presentation will explore how a typical network engineer like himself can leverage automation in Amazon Web Services (AWS) to enable business needs. AWS is one of the biggest names in cloud computing services worldwide. Since its founding in 2006, AWS has quickly become a premier choice for companies around the world that want to move their data and their business into the cloud. In his presentation, Jason will examine a real-life case study to show attendees how to get more out their investment in AWS, harnessing automation capabilities to overcome key business obstacles. As the Chief Networking Architect for LA Networks, Jason has over 20 years’ experience with networking and has worked on everything from the smallest networks to huge enterprises and ISP networks. He specializes in advanced routing, switching, SDN, and network automation – which is precisely why he’s qualified to speak on the topic at Cisco Live. That’s not to mention that he helps to run the oldest Cisco user group in the country – SCCUG, an organization he co-founded in 1999. Sponsored by Cisco, the Southern California Cisco Users Group (SCCUG) brings together professionals to learn more about networking, collaboration, security, and other technologies. SCCUG meets once a month in person at the Glendale Cisco office to network with each other and discuss network technologies. Furthermore, just last year the LA Networks team received official certification in Cisco’s Advanced Enterprise Networks Architecture Specialization, allowing us to offer clients unparalleled Cisco expertise and consulting, seamless implementation of Cisco network technologies, reliable network solutions, and proactive support. If you were on the fence about attending, be sure to register right away! If not, you can also watch Jason’s presentation afterward online for free. You don’t want to miss this session. As one of only a few Cisco partners to be presenting at Cisco Live this year, the LA Networks team could not be more excited for Jason. As proud Cisco partners, we’re looking forward to attending the event, networking with other members of the Cisco network, and seeing our very own Chief Networking Architect in action. What are you waiting for? Be sure to check out Cisco Live online to register, or to keep an eye out for the recording of Jason’s presentation in the On-Demand Library. Contact LA Networks at (818) 333-4880 or info@la-networks.com for more information about what Cisco’s solutions, combined with expert support from our team, will do for you.